This will be a 3-4 strike head to head knockout tournament. It will be 4 strikes if there are 15 or less players and 3 strikes if there are over 15 players. The club will open at 6:30 and the tournament will begin at 7:30. 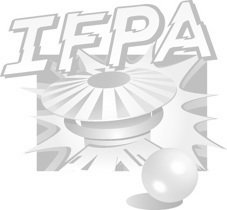 The tournament entry fee is $5 which is split 50% for winner, 30% for runner up and 20% for IFPA. Non Club members must pay a $10 coin drop. All the games are on free play and you're welcome to stay and play until the last member leaves.